Sometimes people choose to hold a celebration of life instead of a funeral. After a family member passes away, the survivors may want to offer this type of event to celebrate the deceased rather than have a more somber funeral. In other cases, people have a celebration of life event a few days, weeks, or even years after the funeral. What may come across as inappropriate funeral behavior may be acceptable at a celebration of life. There are no hard-and-fast rules. When you attend a celebration of someone’s life, you should expect to experience a joyful event. As the name implies, you’re there to celebrate rather than mourn. This is often at the request of the deceased before he or she died. The event may appear to be more of a party than something commemorating the person’s death. It is less likely to go by the format and conventions of a religious funeral service. A funeral is typically a somber occasion where you speak in hushed tones and have a more subdued demeanor. A celebration of life is more commonly a casual get-together with emphasis more on the positive aspects of the person’s life. Those who attend may laugh as they talk about the experiences they had with the deceased. A celebration of life is not generally held in a funeral home or church. It’s more often in someone’s home, an outdoor venue such as a garden or park, or a rented facility. The location is normally chosen based on the interests and passions of the deceased. A celebration of life is held after the burial or cremation of the deceased. It normally occurs a few days after the person passes or up to several weeks later. Some people choose to have a celebration of life on the anniversary of the death of the deceased. Since a celebration of life is less traditional than a funeral, the attire will be based on a number of factors, including the location and wishes of the person planning the event. In some cases, you may be expected to wear traditional funeral attire, but more often you’ll be asked to wear something more casual and upbeat. You may send flowers or floral arrangements to a family having a celebration of life. 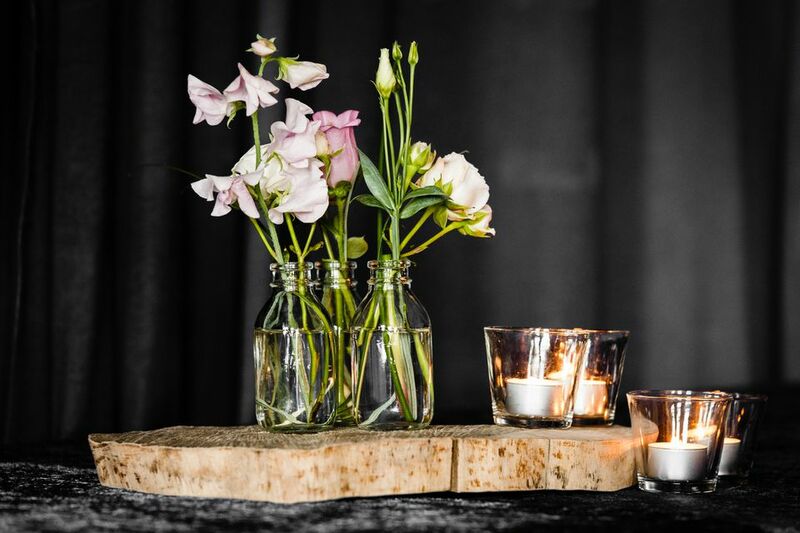 Choose a flower that symbolizes something you enjoyed about the deceased or an arrangement that shows a hint of the person’s passions and interests. One example is a bouquet in the colors of an alma mater or favorite sports team. There are no steadfast rules about what you need to do at a celebration of life event. It is still a good idea to have some sort of structure, even if it isn’t rigid. Ask people to speak about their experiences with the deceased. Encourage the sharing of some humor as well as poignant situations. Share memories by asking people to bring photos and mementos. Release butterflies to commemorate the release of a person’s pain after a lengthy illness. Make a memory book or box and ask everyone to contribute a picture or item. Craft a memory quilt with squares of fabric from the person’s clothing. Purchase packets of the person’s favorite flower or vegetable seeds and ask everyone to plant them in honor of the deceased. Play a video or slide show of the deceased having fun at different times of his or her life. Ask people to jot a memory of the person on a card and put it in a jar. Later, you can either read these memories aloud or put them together in an email that you send later. Make a playlist of the deceased person’s favorite music for everyone to enjoy. Music evokes emotion, so be prepared for laughter, tears, and everything in between. Set up a scholarship in the person’s name. Partner with a favorite charity of the deceased and ask that people volunteer or donate money for the cause. Have a celebration walk, run, or bike ride in honor of the deceased. Have a charity gift tree at the celebration. Encourage people to donate what they feel led to and pin it on the tree. Provide clips or clothespins. By its very definition, a celebration of life should be celebratory and joyful. Encourage all of the attendees to be positive and remember all of the good things about the deceased.